Ooze sophisticated glamour with this stunning diamond bracelet. 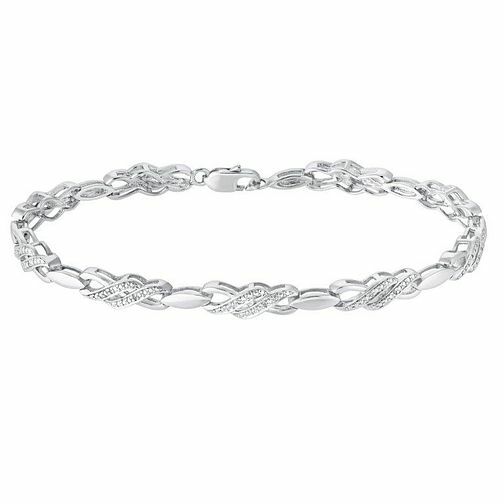 Crafted from sleek sterling silver, this pretty bracelet features an elegant double kiss style crossover design, and has delicate diamond detailing set across half the design for a splash of sparkle. Sterling Silver & Diamond Double Kiss Crossover Bracelet is rated 5.0 out of 5 by 1.